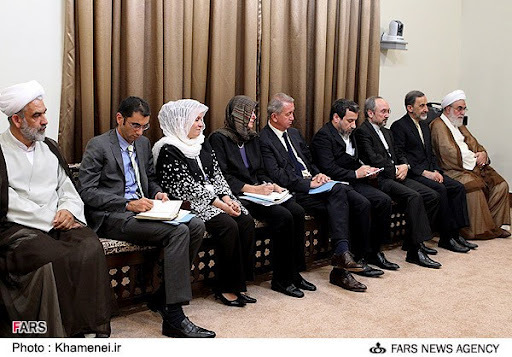 Feltman met, Khamenei, Ahmadinejad, Jalili & Larijani. “… former American diplomat Jim Dobbins told Al-Monitor that Feltman likely would have given the US government at least a courtesy ‘heads up’ about his trip, even if he would not take guidance from them. The meeting “is interesting,” Dobbins, now at the Rand Corporation, said. 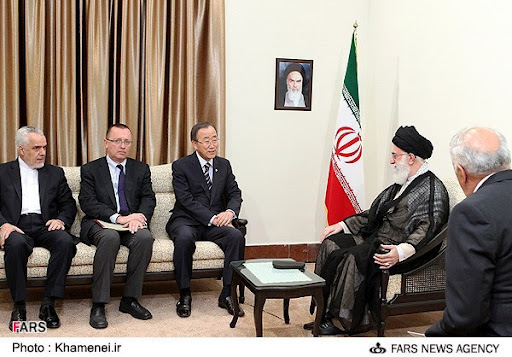 The former US ambassador in Lebanon and most senior diplomat at the US State Department, Zionist Jew Jeffrey Feltman, accompanied United Nation secretary-general Ban Ki-moon, to meet Iran’s Supreme Leader. Currently, Jeffrey Feltman is Ki-moon’s Under Secretary for Political Affairs. See Feltman sitting between Ki-Moon and Salehi facing Ayatullah Khameini, and several other photos of NAM participants, here. “I have got these SOBs just where we want them Maura! Watch the 1000 slow cuts as we shred Hizbullah – who do they think they’re? And we will do it by using HR-1757 and this time we are going all the way. I told Israel to stay out of Lebanon because the IDF cannot defeat Hizbullah plus the whole region will burn“. “The Lebanese people must join together to tell Hezbollah and its allies that the Lebanese state will no longer be hijacked for an Iranian-Syrian agenda“. The Obama administration and the Jewish lobby officials are trying to downplay Feltman’s visit which makes him the first known anti-Iran Zionist Jew diplomat being allowed to be in the audience of of the Rehbar. The Jewish spokesperson for the State Department, Victoria Nuland, says Feltman was there as part of its new position at the United Nations. Israel-Firster Dennis Ross, former senior adviser to Obama on the Middle East affairs, who currently works for Israel lobby AIPAC affiliated think tank, the Washington Institute for Near East Policy (WINEP), also says Feltman is not representing the US policy toward the Islamic Republic anymore. Jim Dobbins, former US ambassador who currently heads ME policy department at the RAND Corp. claims that Feltman did not consult US government on his trip to Iran. 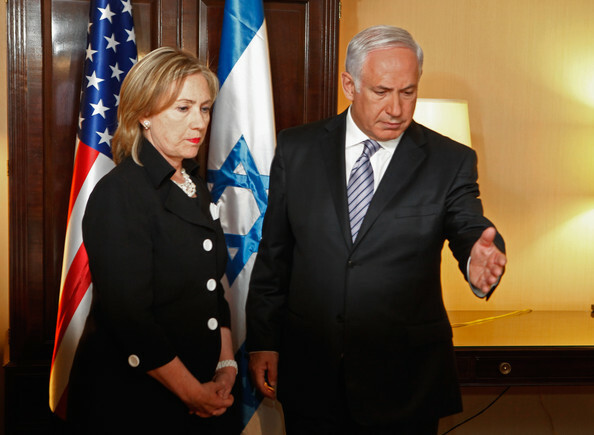 It’s hard to believe that while both Netanyahu and Hillary Clinton pressed Ban Ki-moon to cancel his visit to attend the 16th Non-Aligned Movement (NAM) summit in Tehran – Jeffrey Feltman would have refused to obey them. Feltman, with full blessings from both Washington and Tel Aviv, decided to visit Iran to meet anti-regime groups and use his visit in support of his future Zionist propaganda lies against Iranian government. Iran’s Spiritual Leader Ayatullah Khamenie did not hide his contempt for the United Nations in his opening address at NAM. “The UN Security Council has an illogical, unjust and completely undemocratic structure and mechanism. This is a flagrant form of dictatorship, which is antiquated and obsolete and whose exoiry date has passed. It is through abusing this improper mechanism that America and its accomplices have managed to disguise their bullying as noble concept and impose it on the world,” said the Rehbar. Ban Ki-moon, sitting next to the news President of NAM, Dr. Ahmadinejad, at the opening ceremony of the summit – proved once again that he is a poodle of American imperialism. Instead of joining the 120-member NAM support for Iran’s peaceful nuclear program, a nuclear free Middle East and lifting of unlawful sanctions against Iran – Ki-moon asked Iran to ‘come clean on its nuclear ambitions’. In reality, both Ki-moon and Egyptian president Dr. Morsi attended the NAM summit as ‘double agents’. 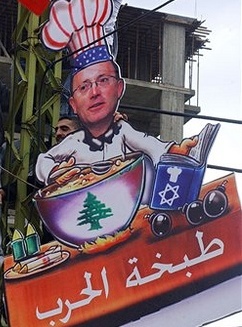 As American ambassador in Beirut, Jeffrey Feltman. shielded Israeli Mossad in the assassination of former Lebanese prime minister Rafik Hariri in 2005 by blaming it on Syrian President Bashar al-Assad, a friend of Hariri family. When his allegation could not stand on Zionist legs – he switched the blame on to Lebanese Islamic Resistance Hizbullah. A 2010 poll conducted among 18,132 Arab participants by pro-Zionist Al-Jazeera – 78% of participants claimed that Israel was behind the assassination of Rafik Hariri. Feltman was also the driving force behind the establishment of UN Special Tribunal for Lebanon (STL). It’s president Antonio Cassesse was called a ‘great friend of Israel‘ by no other than Professor George Fletcher (Columbia Law school) at Herzliya conference in Israel.